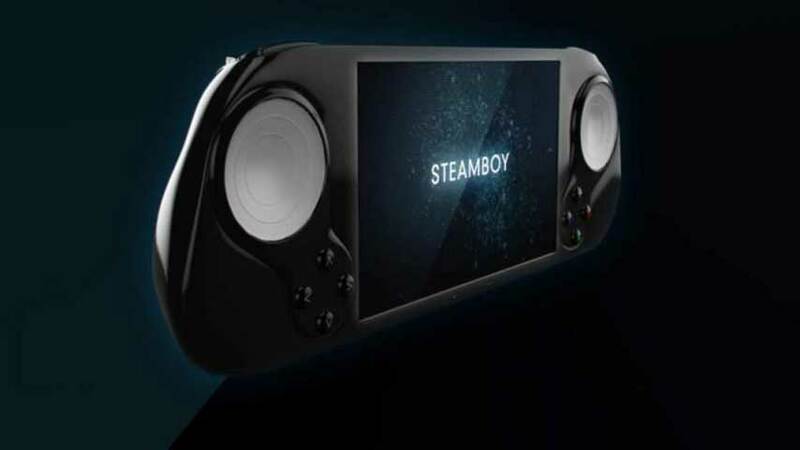 Smach Zero is a handheld Steam Machine formerly known as the Steam Boy. The team behind Smach Zero has announced the portable will be available in the fourth quarter next year – in time for the 2016 holidays. Gamespot reports pre-orders are going for $299, but the final RRP will be higher. If you’re keen, you’ll be able to slap your cash down on November 10, the day other Steam Machines launch in earnest. The Smach Zero boasts 4 GB of RAM, 32 GB internal storage, USB, Bluetooth, WiFi and optional 4G. It has HDMI out in addition to a 5″ 720p touchscreen, and features two configurable Steam Controller circle pads, eight face buttons and bumpers. The main brain is an AMD embedded G-Series SoC Steppe Eagle with Jaguar-based CPU and GCN-based Radeon graphics. It’s an interesting concept, although I’d personally like to know more about its capabilities when hooked up to a big screen, and I’m wondering how on earth I’m expected to fit enormous triple-A games into that limited storage.